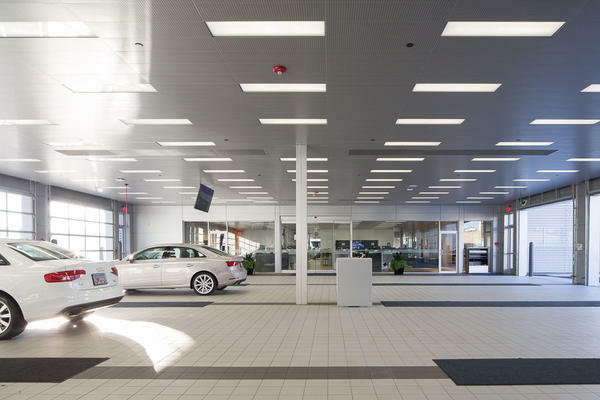 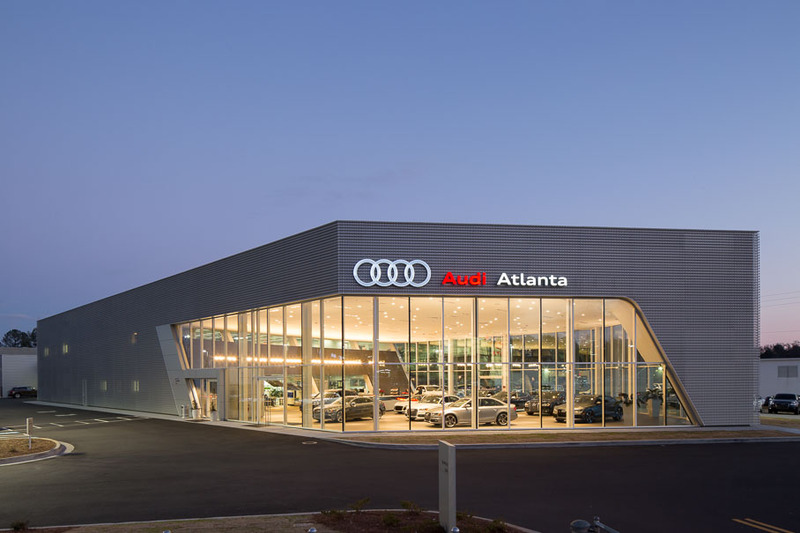 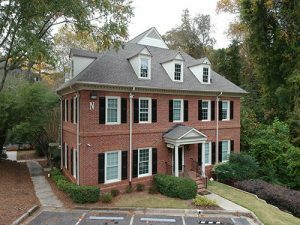 Audi Atlanta was another design-build project for the local Jim Ellis Automotive group in Atlanta. 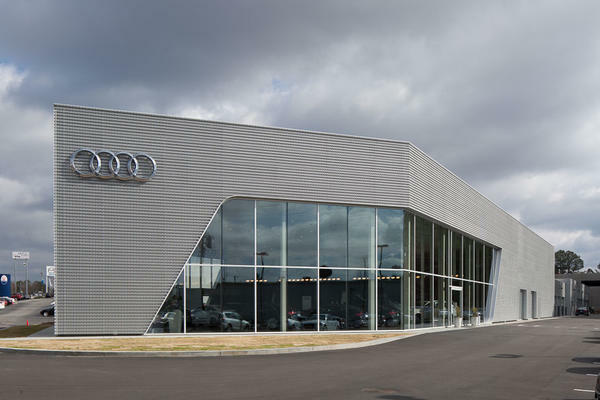 At the time of the design, in late 2012 and 2013, this was one for the first dealerships in the country with the new Audi program. 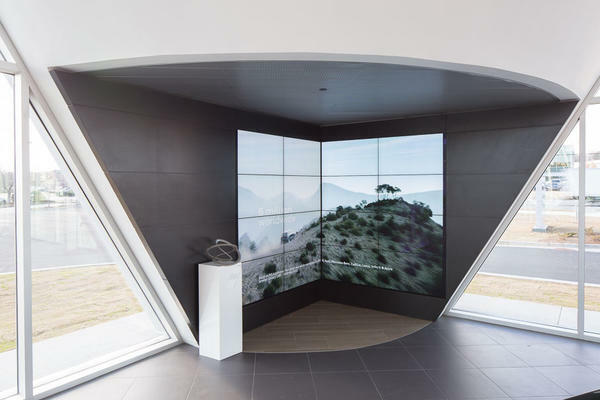 PEC’s REVIT/BIM capabilities allowed the construction of the project to flow very smoothly even with complex geometry of the ceilings and soffits. 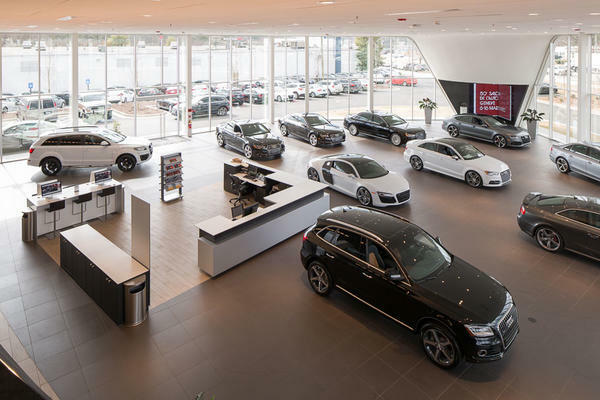 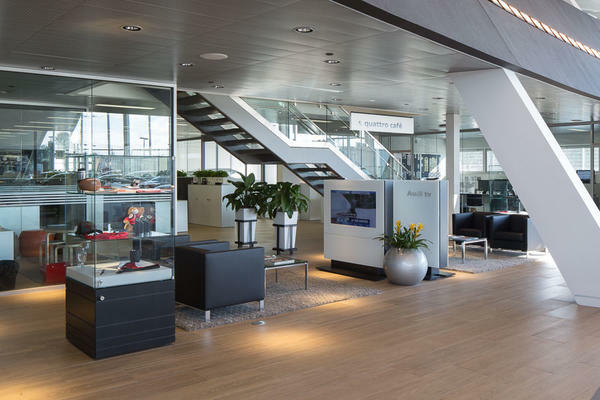 To top it all off, the Audi corporate team announced Audi Atlanta as the best Audi store made during its grand opening!